We're committed to the past, present and future of Bournemouth's parks and green spaces but we need your help! See some of our exciting projects below - every donation makes a difference! If you've ever been down to Bournemouth Gardens and taken a stroll through Pine Walk you may well have discovered Bournemouth's famous bird sanctuary. We’re fundraising to replace the aviary with a beautiful new structure allowing greater flight space for the birds and 360 degree views of the birds. Can you help us to reach our target of £200,000? This project will create volunteering opportunities in our amazing parks to improve people's mental/physical health and reduce social isolation through participating in parks activities. Volunteers will benefit from improved health and wellbeing, personal development, confidence, sense of achievement and CV enhancement. We're fundraising to trial dog-friendly drinking fountains in some of Bournemouth's parks. If these doggy drinking fountains prove to be a success, we will aim to raise funds to be able to introduce them to many other parks across our town. We're currently raising funds for a drinker at Hengistbury Head. Let us know where you'd like one next! Help us to restore and re-open this historic shelter, in the style and decoration that it would have originally had. This ‘Victorian clifftop shelter’ forms part of Bournemouth’s coastal heritage. The local community are coming together to raise funds to restore the hut to its original condition and appearance. The views from this location are stunning. Park Yoga runs every Sunday throughout the Summer in Bournemouth Gardens and new for 2019 at Kingfisher Barn. Yoga is a great way to relax your mind and body, so why not do that in an amazing outdoor setting, and for free? You just need to bring along a mat or towel, a drink and a positive mindset and then relax the morning away. We're trialing, prototyping and developing new contactless donation solutions in an outdoor environment. As our society evolves to using contactless payments as the norm, we'll be exploring how people's behaviour may change to donate to charities. We'll be developing weather proof technology which will contain an independent power source. NOW COMPLETED! 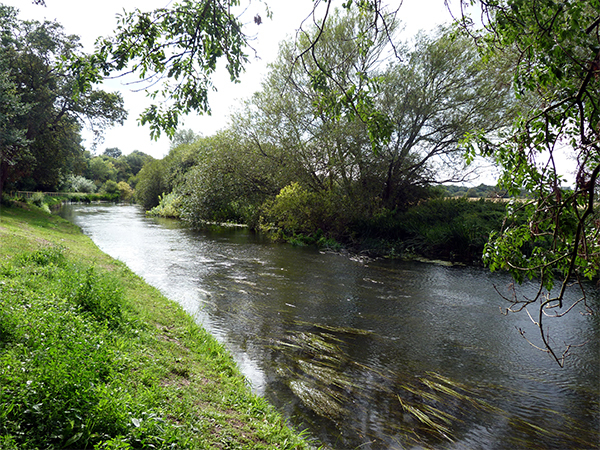 The foundations first project was an innovative talking bench on the River Stour at Tuckton. Solar powered and with state of the art technology the stunning hand-carved bench relates stories of the adjacent river Stour with intervals of music, poetry and laughter. This exciting and ambitious project will create an arts and sculpture trail between the coastline at Hengistbury Head, along the river Stour, up to Kinson. Visitors will encounter unexpected wildlife such as the otter, brown hare and barn owl and discover places such as Iford, Holdenhurst, Throop Mill and Muscliff. Please give generously to keep our parks and green spaces looking fantastic for future generations to enjoy. If you can't see a specific project that you like, but you'd like to donate, you can still give to our charity. Any donation you can spare will be gratefully received! Our second talking bench situated on the delightful river bank near Kingfisher Barn, Muscliff. Supported by Tesco #bagsofhelp, children recorded their thoughts and feelings for their local river and it's heritage. Come along and listen to their tales while enjoying the incredible views. Parks breathe life into our communities as precious spaces for wildlife, meeting friends, exercise and play. Pocket parks may be small but they do the same job as big green spaces! With government grant funding, we've helped the local community to develop the new Kinson Village Green. Help us fundraise for a new wildlife camera and streaming facility so you can follow more amazing wildlife action! For the past five years we have indulged ourselves in the amazing live imagery from our wildlife cameras across the nature reserve. Can you help us to now showcase this incredible footage worldwide?